I can tell you what my bio says, ‘cause here it is: Stephen C Ormsby was an IT professional for twenty years before deciding to lead a more creative life. He has always loved the idea of writing novels and had written four when Long Lost Song came along, demanding to be published. I started writing about 20 years ago I think. It came about from a conversation with a lost friend as we both were unsatisfied with the books we were reading. So the conversation turned to ‘we could do better than that’ and then his wife said ‘then do it’. I have been ever since. I am a parent of two and I structure my day around their school day. We do the morning run, then Marieke and I will chat for an hour and then I get stuck into the writing aiming for at least 1000 words a day. 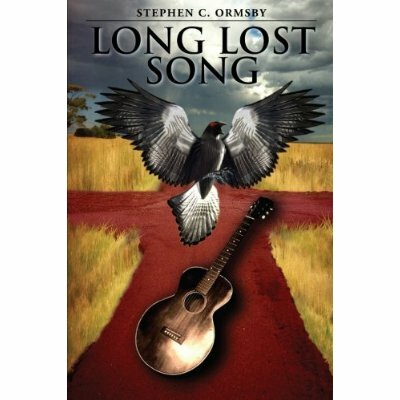 Both my children are now very interested in writing, especially when I received the first paperback copy of Long Lost Song. I have so many favourite authors and different reason for liking them. An example is Michael Chabon as I see him as one of the best literature authors around and Frank Herbert for mind-blowing science fiction. To just keep writing. To get the stories I have in my head out and read. To make enough money to write another day. No grand aims, except the big one – to keep writing. I’m self published. With Long Lost Song, I felt an urgency to get it out there. It always felt time sensitive and if I waited too long it might actually happen! I wrote 4 or 5 books during my first marriage, which my wife never read as she would say I had no talent. Then when that broke down and I met my beautiful muse (and now wife), she read them and said the complete opposite. Get this book out there now. Finish writing it and get it published. I have two out at the moment with a lot more planned. The first is Long Lost Song and here is the blurb: A virus is decimating America today and Michael Decker is the culprit. Or is he? It was an idea I carried around for 15 years and I could never come up with the catch to it – until my must came along. Love is a wonderful inspiration. The second book I have is a collection of short stories, articles and other bits (!) called Leftovers from the (Writing) Table (a title I had in my head since I started writing). I am inspired to write. What it is does not concern me. It is more about getting the words and ideas out. I hope that, by being self-published, I do not have to consider genre. I have written supernatural urban fantasy, am writing a fantasy and a horror novel (at the same time) and plan to write as many different things as I can. That way I won’t get bored. There are two main characters in Long Lost Song – Ricky and Michael. Ricky is a 1930’s blues musician who makes a very bad mistake and pays for it for a very long time. I almost cried when I managed to change Ricky’s fate somewhat. It made Ricky feel very special to me. Michael is different. He has sheltered himself away from life after being a rock star. I found him very insular and I think it shows in the book. The book Long Lost Song even comes with a list of tracks that Michael listens to. There are 13 songs mentioned in the book and we (Michael and I) listened to them quite a lot during the writing of it. One last word from Stephen about his cover art: I would like to say that my beautiful wife created the covers (all my covers so far). I’m very lucky to have someone that can visualize my words. Thank you again for your time Stephen! 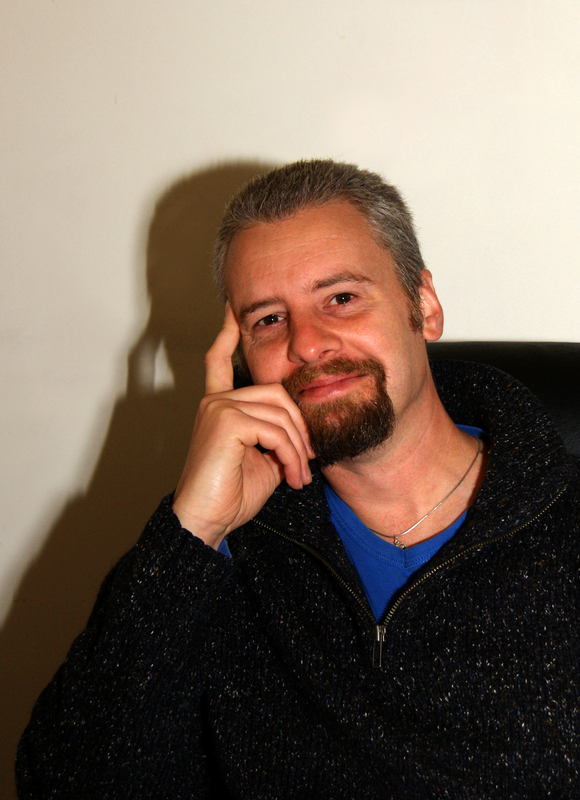 You can keep up with Stephens doings on his blog and his latest book on his website. You can find Long Lost Song on Amazon and Smashwords and you can find Leftovers from the (Writing) Table on Amazon and Smashwords.